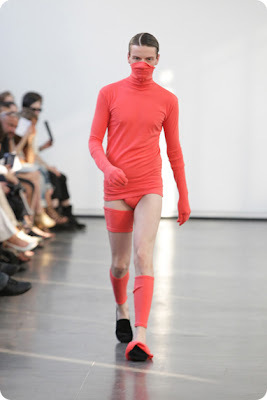 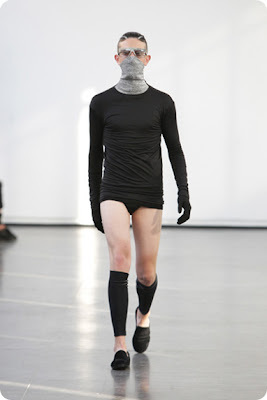 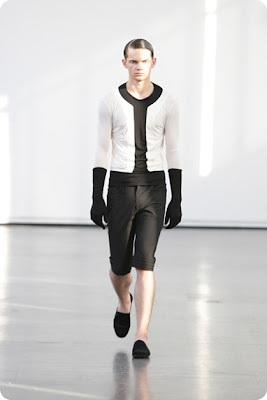 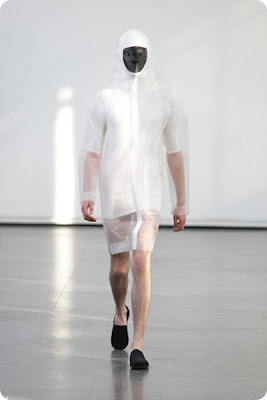 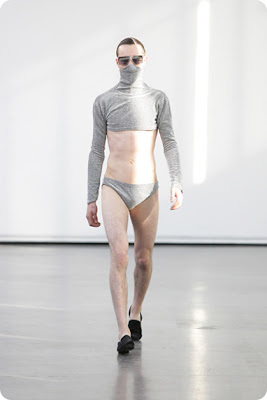 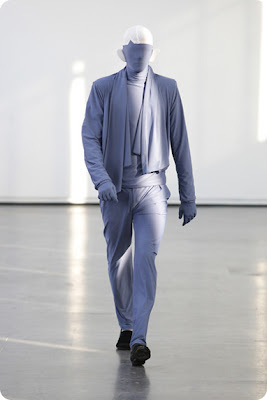 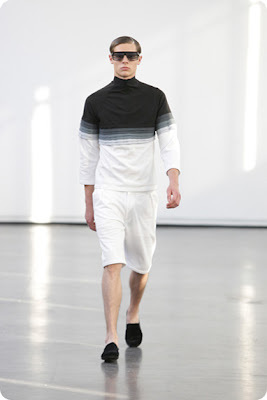 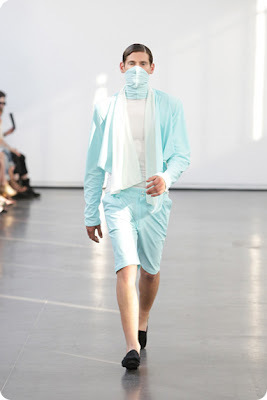 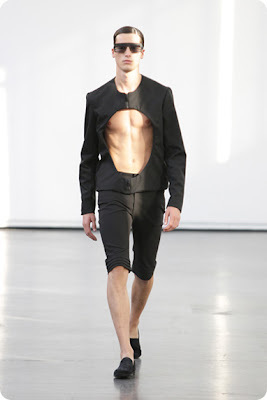 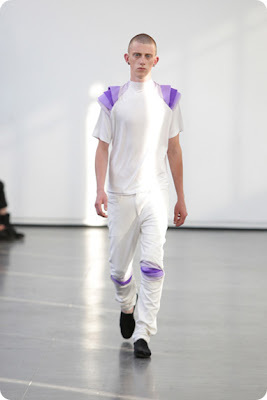 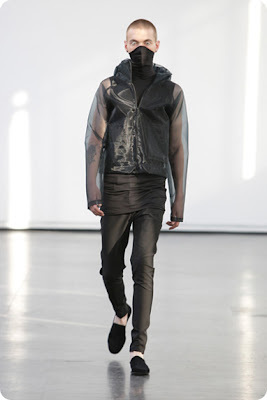 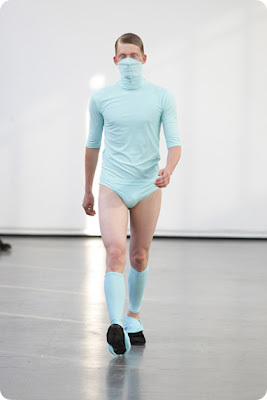 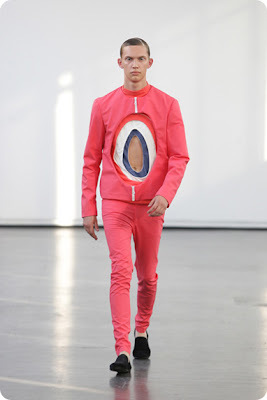 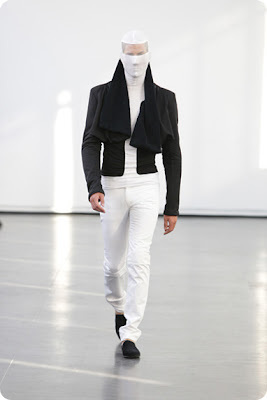 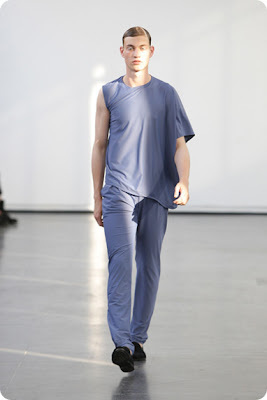 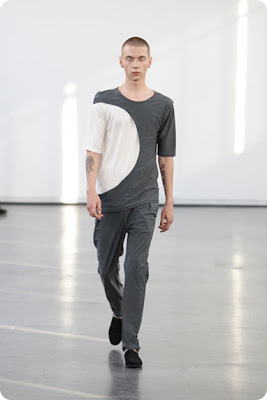 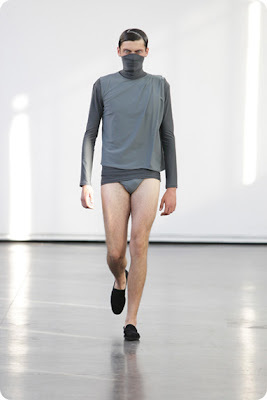 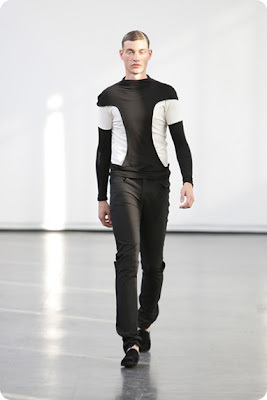 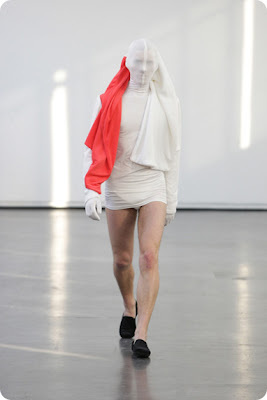 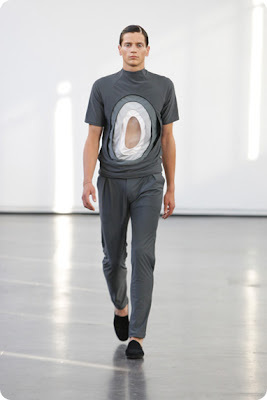 Menswear designer Romain Kremer showed futuristic and conceptual collection for spring/summer 2010. 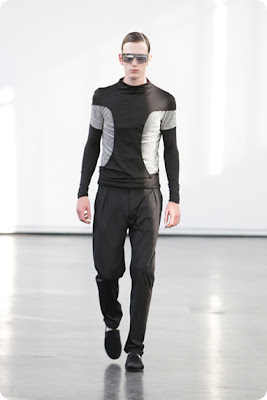 This season the clothes are probably what you can call a “space age minimalism”. 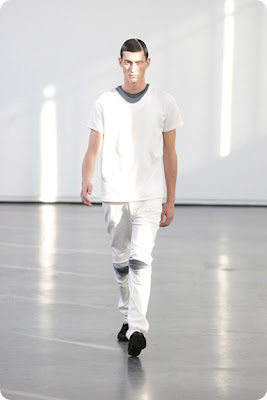 Clothes are tone on tone and mostly white, black, blue and grey. 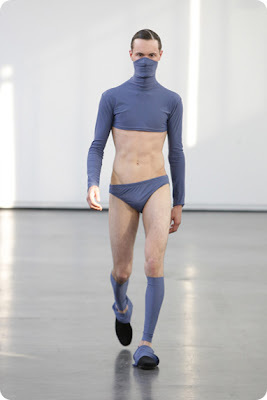 The clothes look like a very sensous defensive armor.